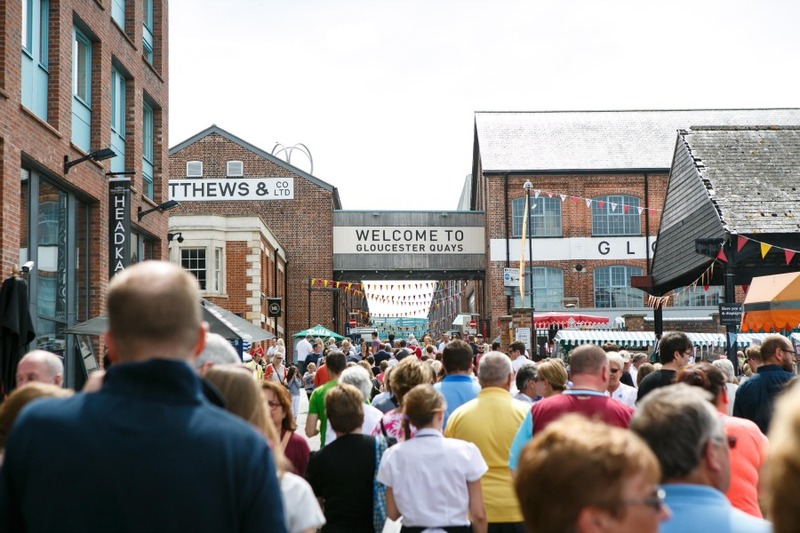 Peel Outlets, owner and operator of Gloucester Quays, has today announced figures showing a dramatic increase in trading for the financial year to date, reporting an 18% rise in footfall and 13% rise in sales. With an ever-growing number of premium brands, new openings include fashion retailers Fat Face and Bench, as well as restaurant Carluccio’s. It has also become the first outlet to sign Tricker’s, a luxury heritage shoe brand founded in 1829 and bestowed with a Royal Warrant from HRH The Prince of Wales. Since January alone, Gloucester Quays has opened 14 new stores, comprising 40,000 sq ft of retail space. These have included fashion retailers Clarks, Sketchers and Jaeger, and restaurants Brewhouse & Kitchen, Bella Italia, and Bill’s. Since 2013, Peel Outlets has re-branded and transformed Gloucester Quays as a ‘lifestyle concept’ through detailed research, enabling it to match the right tenant brands with key customer demographics. This unique formula has evidently been proven to deliver significant increases in dwell-time and sales. The outlet currently has 85% of its retail space let, with opportunities for retailers to register interest for 2016 and beyond.